Whether you’re hosting daily video catch ups or large scale, live-streamed virtual events with thousands of participants, Zoom provides enterprise-grade video solutions to fit every scenario. 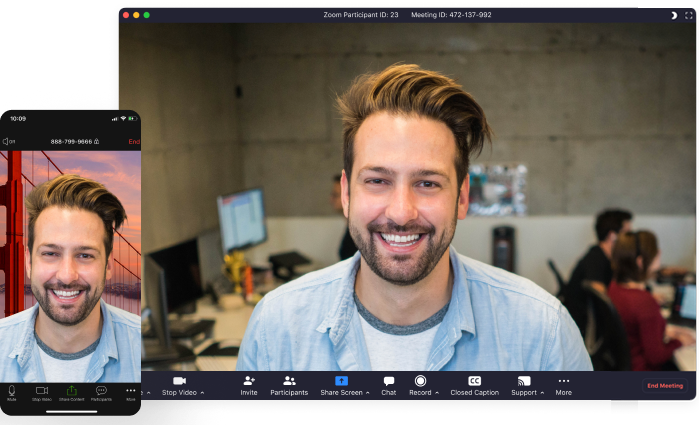 Zoom makes video meetings simple and intuitive, with a thoughtful user interface that delivers a consistent experience on any device. Enjoy great video quality, crisp audio, instant messaging and content sharing for better collaboration. Zoom makes it easy to start, join, and collaborate across any device. Record your meetings locally or to the cloud, with searchable transcripts. Zoom Webinars allow you to engage with an unlimited audience via live, interactive virtual events. Host online events with up to 100 interactive video participants and 10,000+ attendees. Customise your events with branded emails and registration forms, as well as multiple integration options for your CRM systems. Experience high quality video, audio and web conferencing in any room, with the ability to walk in and launch a video meeting with one touch. 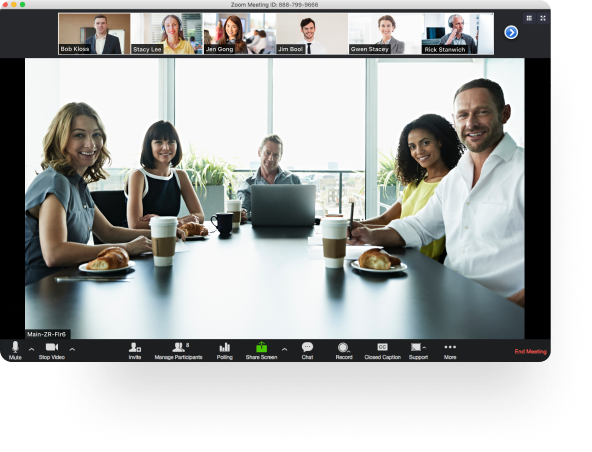 Zoom Rooms makes on-premise video conferencing easy with a simple touchscreen interface and simple, flexible set-up. Cut the cords, cables, and dongles — present content wirelessly from your laptop or mobile device.